Just wondered if any of you have a certain press you prefer for sizing (boolits). Last edited by Cosmic_Charlie; 04-12-2018 at 10:42 PM. I do almost all of my brass resize on a RCBS Rockchucker. Then I use a Dillon 550 to load for pistol and some rifle cartridges. All the rest of the rifle ammo gets loaded on the RC. If it ain't broke don't fix it! I disagree with what you say, but I will defend your right to say it to the death! When people fear the government it is tyranny, when government fears the people it is Liberty! Lee's Classic cast single stage is an awesome press and has excellent mechanical advantage for tough sizing tasks, it's what I use exclusively to FL size rifle cases, and also on the occasion when i want to pre-size/decap pistol cases before I run them through the turret press. ALso, I have a second Classic cast single stage, it's inverted for boolit sizing, mounted on a "up-side down" stand. 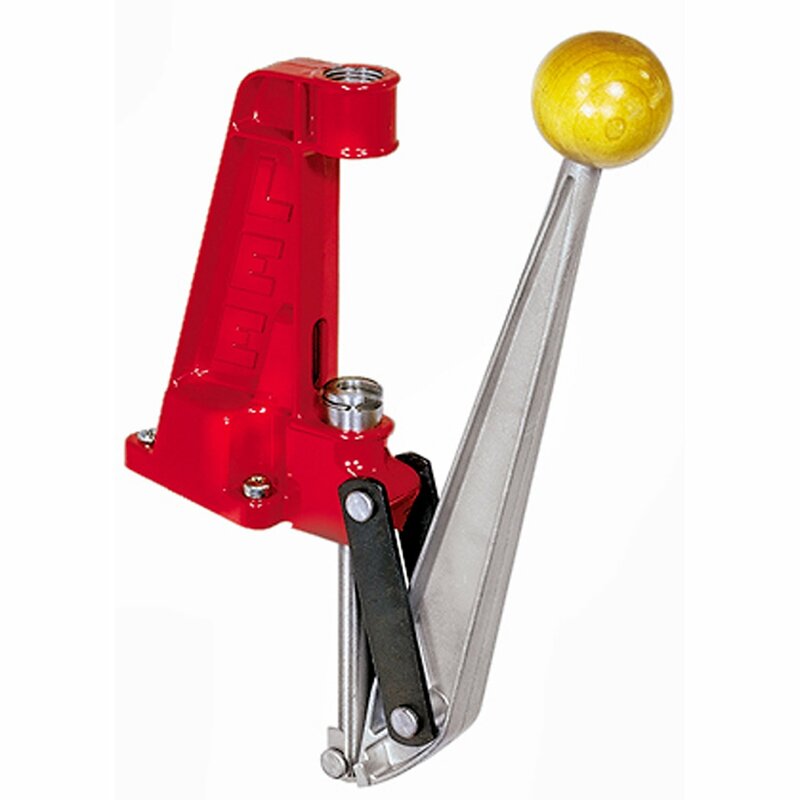 What's great about this press when up-side down, is the handle is reversible and also adjustable to 360º, it's the most conducive press to mount up-side down. Lee Classic inverted, the cats behind for sizing and checking..
RCBS Rock chucker for .223 to .45 calibers (Pistol Rifle). Lee Classic Cast 50 BMG Single Stage Press Kit for my AR50. Last edited by tdoor4570; 04-12-2018 at 03:35 PM. that I have set up like on a receiver hitch deal I had made so I can set it upside down to size in one position, & then turn right side up for other normal press use. Not to dump on NOE, but their thread in from the bottom boolit sizer system has my Rockchucker working where it has about the least mechanical advantage in it's stroke. Even with polishing the bushings and BLL lubed boolits it gives the press a workout sizing down only a thousandth. The Lee system takes much less force because my press arm moves more in relation to ram movement. I have no issues sizing cases because I know how to lube them (RCBS lube pad & One Shot in the case necks). An old LYMAN Spartan for sizing/decapping, then hand priming and onto the L-N-L for powder/bullets. .223,.308&.30-06 and all handgun except .32ACP & 32short & wimpy. Too darned hard to handle those tiny RN bullets & tiny cases on a Progressive. All other RIFLE is loaded on a RockChucker. I'm still confused as to whether we're talking bullets or brass. Most responses seem to be about brass? For me...no special press for sizing brass. 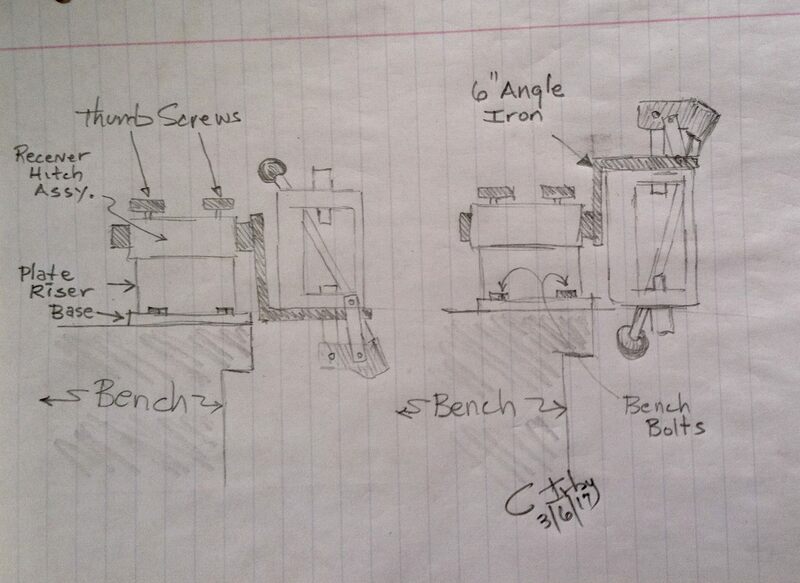 I'm using a classic cast for sizing bullets, but kind of want a cast iron C-frame to put right on the casting bench. I don't dedicate a press for sizing cases.I use whichever press I'm going to load the complete round on.For rifle cases I use a Rockchucker or a single stage RCBS Ammo Master.For handgun cases I use a Lyman All American turret press or either of the current Lyman or RCBS turret presses.I use a RCBS Summit press for pistol as well when I don't want to change the setup on one of the turret presses. For 223 I have 550 plate setup to size + trim (Dillon trimmer) + neck expand, for bolt rifles I use RCIV, pistol I don't bother with separate sizing.